This weekend was truly autumn. Leaves turning from shades of green to vibrant colors of reds, golden yellows, and orange. Autumn is also prime apple season. I’m not in the mood to bake a somewhat finicky pie but wanted to do an apple cake. 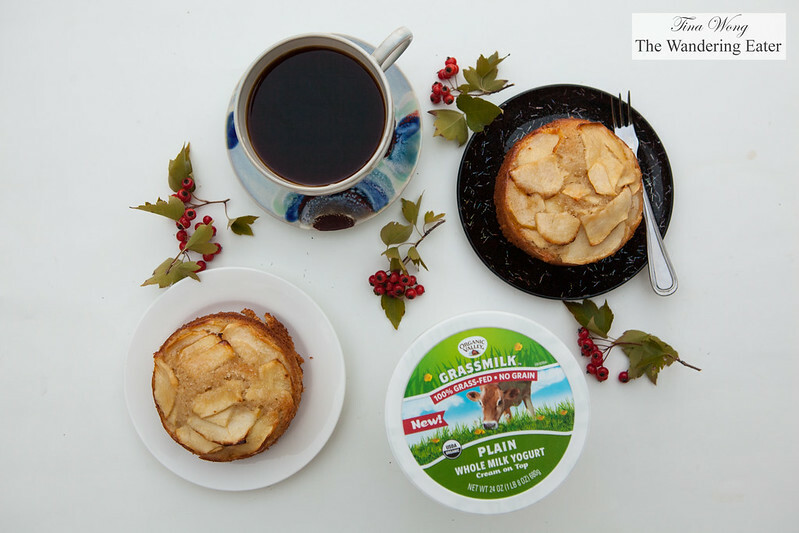 I’ve tried out the Organic Valley Grassmilk Yogurt; a thick, tangy yogurt that has natural creamline on top that would make a perfect addition to the cake. The natural acidity would make for a tender cake and add some moisture and fat. I didn’t want the typical apple pie spices so I opted for cardamom. The small addition of cardamom is to give it a unique, floral spice fragrance and flavor. Preheat oven to 350°F. Grease an 8-inch cake pan. Set aside. Take a large bowl and place the flour, baking powder, baking soda, sugar, salt, cinnamon, and cardamom in the bowl. Take a whisk and stir it a few times to combine. In another medium sized bowl, mix the eggs, oil, yogurt, and almond extract until it’s blended. Take this bowl and dump all of this into the bowl containing the flour mixture. Whisk until it’s combined. Do not over mix before it will toughen the cake. Transfer the cake batter to the cake pan. 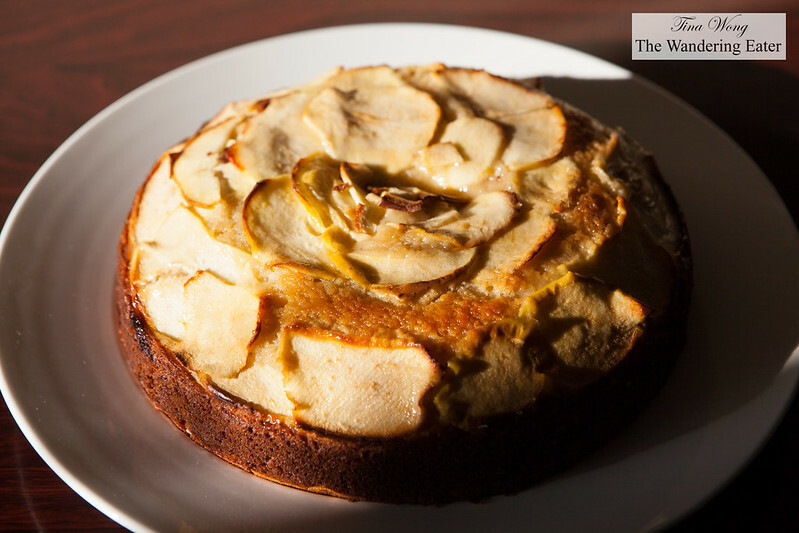 Place the apple slices in a circular pattern and bake for 30 minutes or until when the cake tester comes out clean when inserted in the middle of the cake.